We have returned to Auckland for repairs to the hydraulic system on the crane that deploys and recovers Nereus. 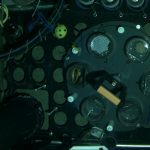 This development followed a brief detour to sheltered waters off the northeast coast of New Zealand so that divers could free a portion of tether that became fouled around one of the ship’s propellers as Nereus was being recovered. It’s a string of bad luck, but we’re hoping to re-group, make the necessary repairs, and get back to trench research as soon as possible. 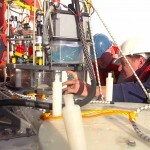 The Nereus dive to 4,000 meters last week has begun to produce results. 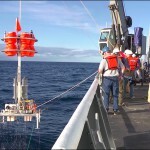 Jeff Drazen and Clif Nunnally from the University of Hawaii are running a respiration experiment that measures how much different deep-ocean organisms “breathe” over time. 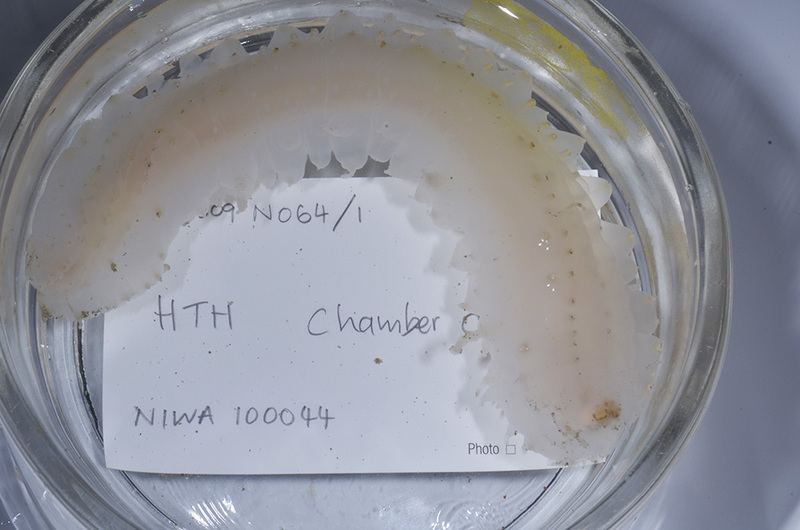 It started with Nereus capturing five small invertebrates from the seafloor and depositing them in containers on its sample basket. Then, in a feat of manipulator arm dexterity, it attached a large lid over the top of the carousel holding the containers and locking it in place. 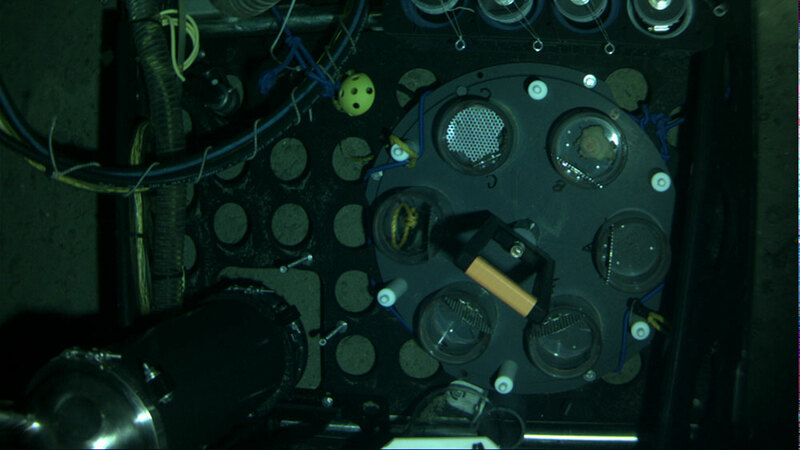 The entire apparatus, known as a respirometer, then goes on an elevator on the seafloor for 24 hours or more. In each container over the entire time, it records oxygen levels, a proxy for metabolic rate. 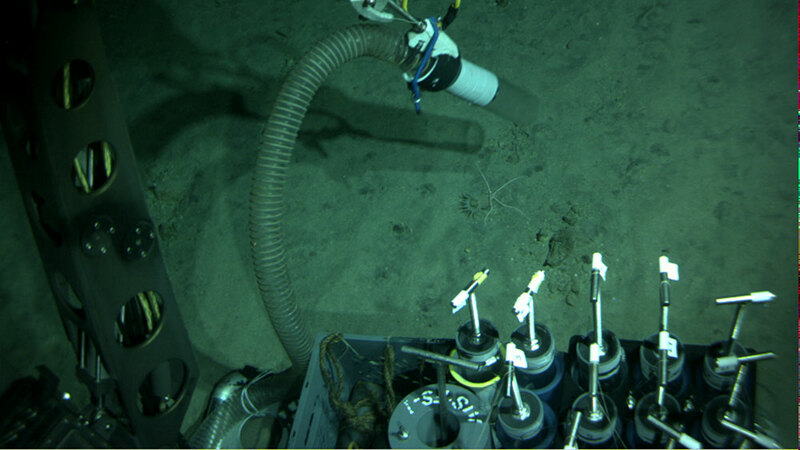 At the end of the experiment, the elevator drops its weights and returns to the surface with the animals and data from the oxygen sensors. 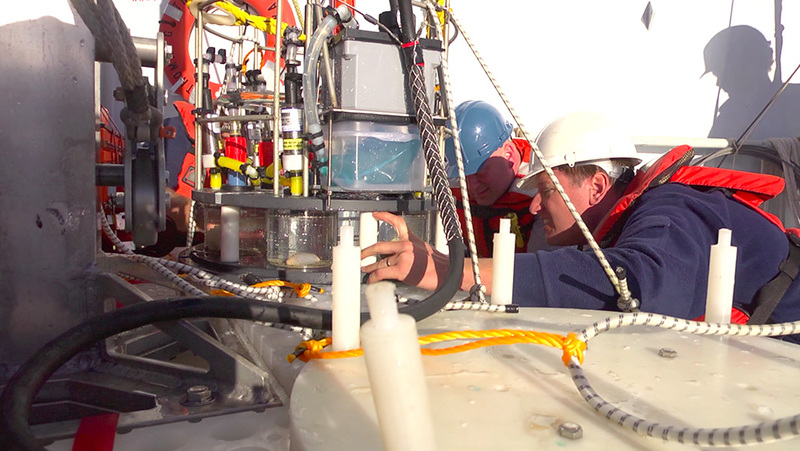 The goal is to understand how metabolic rates differ among species as they descend into the Kermadec Trench and then calculate a rough carbon budget. 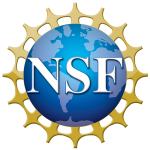 That will begin to answer the much larger question of whether trenches are sinks for carbon. 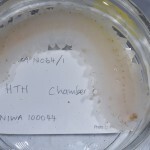 Nunnally and Drazen are focusing on invertebrates throughout the cruise because there is a theoretical depth limit for fish (which we’ll be learning about more very soon) of about 8,500 meters. Beyond this depth, the physiology of fish and many other animals would have to change drastically to maintain the proper chemical balance inside cell membranes. Drazen is also collecting some muscle tissue from the fish we catch in the traps. He will compare the rate of biochemical activity in the cells of deep-sea fish as they experience higher pressure. The presence of specific fatty acids will tell him who has been eating whom in the trench. No one has done this in a manner as systematic as this cruise will allow. The idea Drazen and Nunnally are testing is an extension of something known as the visual interaction hypothesis, which states that the greater the visibility, the more energy animals must expend to pursue prey or escape predators. Below about 1,000 meters, where there is no light except for the occasional flashes of bioluminescence, animals should have no use for the jacked-up metabolism of a bluefin tuna. Instead, hadal animals have had to evolve to adapt to an environment in which both pressure and food supply change with depth. But of these, food supply seems to vary depending on topography. 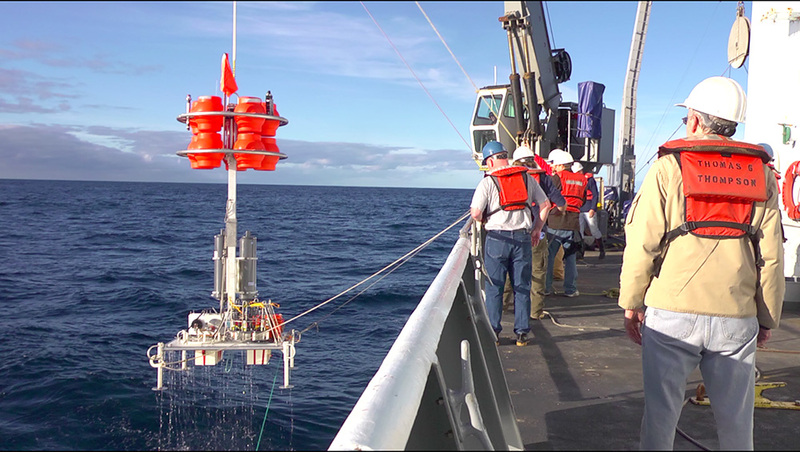 On the ocean’s flat, open abyssal plains, food supply decreases with depth because carbon—in the form of dead plankton and animals that rains down from above—is readily consumed by animals and microbes in the water column until there is very little left on the deep seafloor. 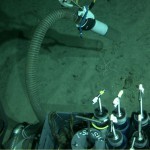 But in the trenches, food supply appears to be much higher on the seafloor, possibly because the topography is funneling food—both from above and down the slopes—into the relatively confined area between the sloping sides. 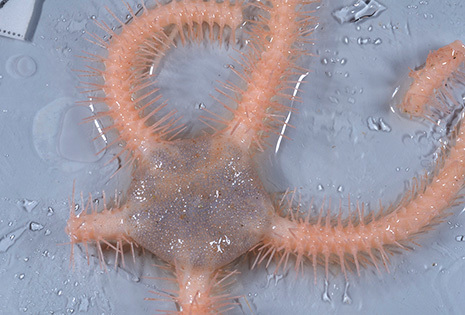 It remains to be seen what this means to the evolutionary paths animals have taken and how the distribution and diversity of hadal communities changes from trench to plain and from one region of the globe to another. Drazen and Nunnally’s lone set of five animals represents only a single data point in their (and our) effort to understand how life operates in the trenches and deep ocean, so there isn’t a lot we can say yet about what it tells us. 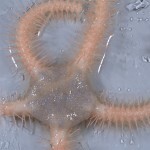 The sea cucumbers seem to have very low respiration rates, whereas those of the anemones and the brittle stars are higher. But that does not account for body mass, and Drazen and Nunnally have yet to measure the total dry weight of the animals. 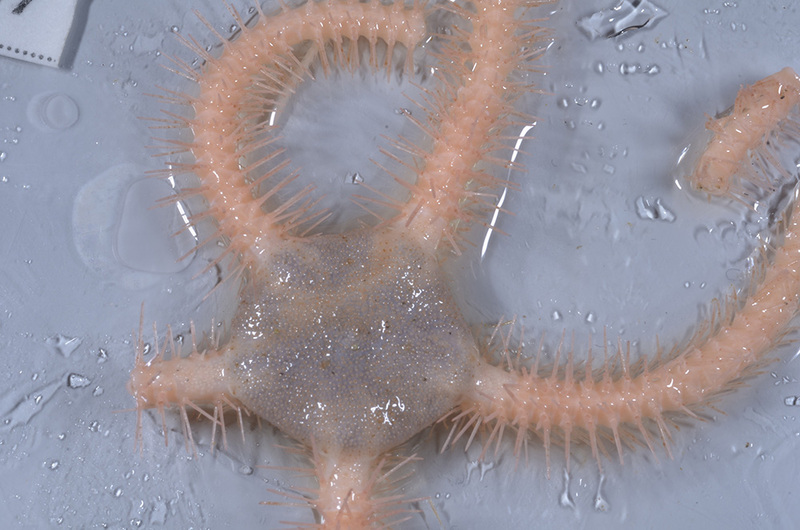 Who knows, it may turn out that, ounce for ounce, the brittle stars are something akin to the bluefin of the deep.